Who Will Write the History? Home Portal Blogs, News Items, etc. TIMBUS Blogs Who Will Write the History? Who will write the history of an event from which the electronic media, digital records, meeting minutes, government records, social media commentary and a plethora of other content – content historians could use to attempt to understand the era – will be lost? Growing up in Ireland, a country littered with artefacts and early human settlements dating back thousands of years, I have always had an avid interest in history. 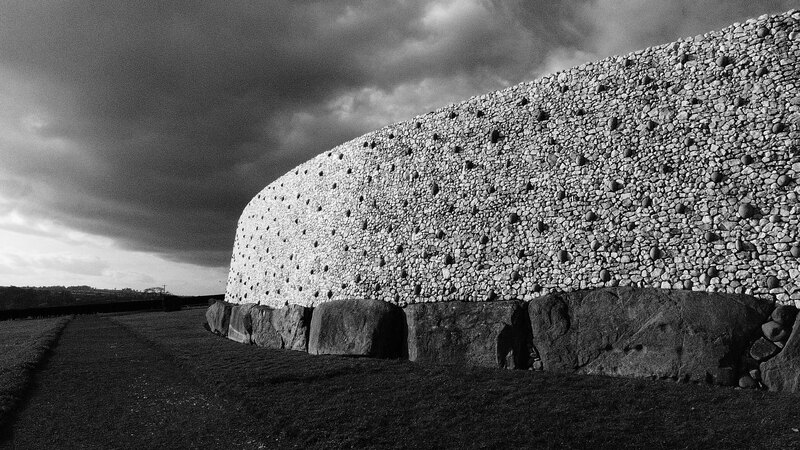 To give probably the most famous example, Newgrange (seen in the photo)1, located at a site in County Meath, is estimated to have been built around 3200 BC. Newgrange dates back further than Stonehenge in England or even the ancient pyramids in Egypt. Any Irish person, whether they have visited the site or not, will be aware that there is a narrow opening in Newgrange which is expertly aligned to illuminate an inner chamber as the sun rises – but only on one day of the year: the winter solstice. This was clearly a day of huge cultural – and most likely also spiritual – significance for the lost civilisation that lived here so long ago. But what struck me on my visit to the site was not actually Newgrange itself, about which I was largely familiar, but rather learning that Newgrange is just one site on what was clearly a vast settlement in the Boyne Valley. Many of these other sites have either not been investigated at all, or in the instance of some of the larger ones, had only rudimentary research carried out. The reasons for this lack of investigation include that they are spread across such a vast region, that the land is privately owned and agriculturally rich and because, perhaps, the most significant site is thought to have been found already and there is possibly little else to learn from further studies. This was a site that as an Irish person I thought I knew, but my sojourn at Newgrange proved to be anything but routine and I pondered who these people were and how much else about our past has been lost. Fast forward to today. One of my TIMBUS colleagues in Intel passed along an excellent video from computerhistory.org2 which reminded me of that trip and inspired me to write this blog. The TIMBUS project is more than three years old and now enters its final six months. This is not my first EU-funded project but rather than being fatigued, this video is a timely reminder of how important a subject TIMBUS is. I think of the Banking crisis that precipitated financial turmoil in many parts of the world, of which Ireland was particularly impacted. Who will write the history of an event from which the electronic media, digital records, meeting minutes, government records, social media commentary and a plethora of other content – content historians could use to attempt to understand the era – will be lost? Technology has provided us with tools capable of capturing our everyday lives to a level of richness never before possible. How is it then possible that rather than being able to precisely reconstruct, dissect and understand such an event, we have the very real probability that so little data will remain that our children and grandchildren will probably be no better armed to protect their societies from a repetition than we were. This perfectly captures the contradiction that I've always struggled with; namely how technology can solve a problem when the use of technology itself is the problem. As a young researcher, I've often heard the dreaded declaration that some particular challenge is a "solved problem". Many people will tell you that data preservation is such a case. Assuming that we knew what data to keep, that we are not going to be able to preserve everything, and cost is not an issue, then yes, we can now in theory keep data forever. The key phrase is "in theory". In practice it turns out that even preserving digital bits on a medium that is readable by today's hardware devices is a difficult, laborious and therefore costly undertaking. But these challenges are less than half the battle. Unless specific actions and sufficient efforts are undertaken to ensure that data is also intelligible, then any investment made in simply preserving data is almost assured to be wasted. We need to stop thinking about "dumping data to tape" and that "it's someone else's problem". We simply must change that mind-set. We need to know what to preserve, why we are preserving it and how to search and access relevant content from digital repositories. We need to do this in a way that is efficient and where data is easily understood by a future generation. Three years on, the approach of the TIMBUS project continues to fascinate and excite me. An eclectic mix of industry – SME, legal and academic organisations – have produced a wonderfully rounded, broad and novel angle to the problem, making a lasting impact on shaping the way future researchers will think. I know because that is precisely what my involvement in the project has done for me. I also know because of informal feedback from the dozens of interactions each of our consortium members has with the community and with their own networks each year. TIMBUS remains novel because it describes and preserves the software environment in which data used to live. In so doing, it captures more than just the tools which are needed to render digital artefacts; it also captures the user experience of interacting with that environment. Engaging in focused but isolated efforts at digital forensics in the future is the equivalent of the dedicated and hardworking archaeologists who spent years on their knees in the Boyne Valley carefully extracting, cataloguing and trying to understand the Newgrange artefacts in their possession. Instead, with TIMBUS concepts, point-in-time representations of entire computing platforms become possible, allowing long-past events to be re-played as they unfolded across many environments. These point-in-time representations even help discover connections that were not obvious to us at the time, all carried out on a scale we cannot achieve, or even comprehend today. Digital Preservation remains a huge research challenge, and while no single undertaking or research effort has all the answers today, the TIMBUS prototypes and the technical advancements we continue to make aim to enable such a future. 1. Photo by Patsy Wooters. Copyright Protected. Used under license CC BY-NC-ND 2.0. Found at http://www.flickr.com/photos/prefers_salt_marsh/10732520505/.